Using our advanced printing machinery, we create a range of bespoke cut vinyl graphics. Although vinyl printing can be a complex process, our layering system allows us to produce the perfect materials to suit your needs. Vinyl graphics can be used to create numerous products, including, vehicle graphics, banners, signs, exhibition displays, and window graphics. Whether you need to promote your brand at an event or draw attention as you drive your car – cut vinyl graphics are the solution. How Do We Print on Vinyl? Our digitally powered vinyl printer allows us to produce prints to your design specification. We use specialist graphic design software to create your artwork, which we then load into our printer interface. Using our cut vinyl system, we then fuse the vinyl sticker to the materials needed to meet your requirements and complete your product. We then repeat the process using any other materials in the set, creating a unique print that is sure to promote your business or event. Vinyl printing is another of our in-house processes, which allows us to guarantee the standards of your product from start to finish. We offer our vinyl printing service to organisations in the north of England and beyond, meaning your perfect print could be with you sooner than you think. There are numerous reasons to use cut vinyl graphics to promote your organisation. The primary benefit is their versatility – we can use this method to create a product that works in any location, rain or shine. Our vinyl printer system allows us to create prints of any size, whether you need a print that’s 10cm long, or 100 metres long, we can produce the perfect product for you. 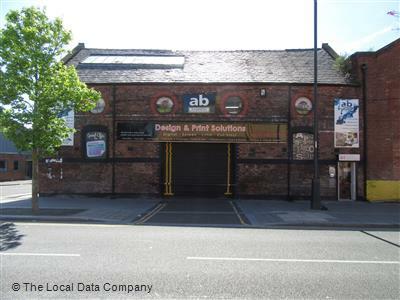 If you have any queries about our processes, get in touch with us via our contact page or speak to us directly at 01517072737. Alternatively, take a look at our products to see what works for you.